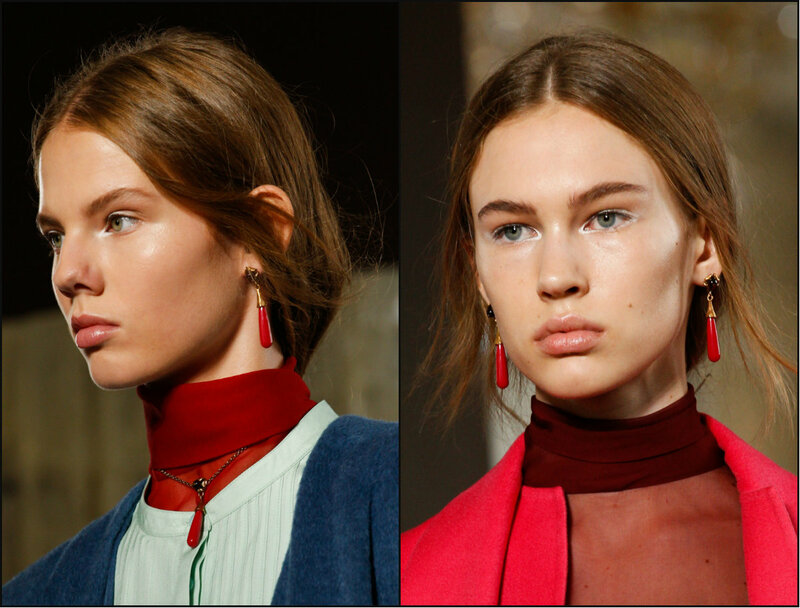 Before we get to see the aspirational images, I would like to turn your attention to one fact - the ruling hair look spotted in Paris is old good ponytail hairstyles. In all possible variations, mostly casual, yet looking quite elegant. This is the trend. Even though we see to be talking about the same pony, the looks one can achieve with them are extremely contradicting. 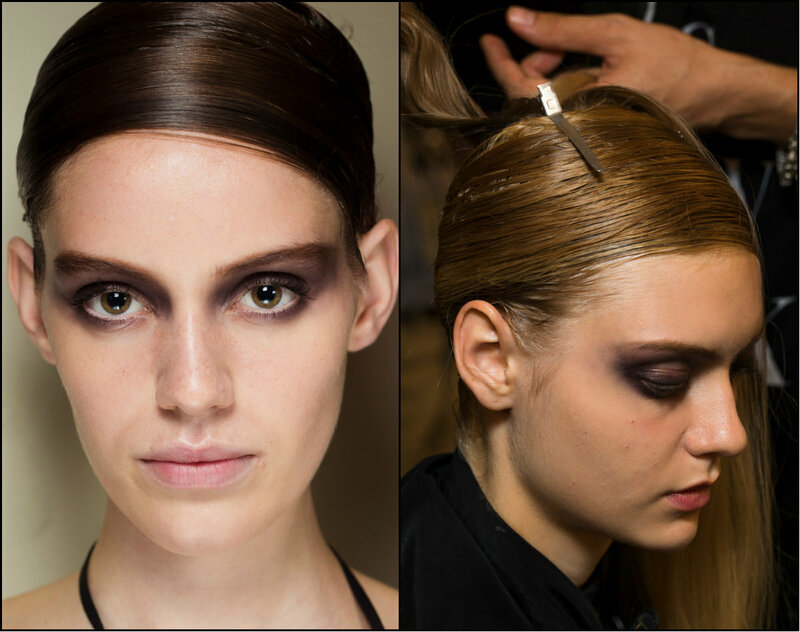 At Armani show it was all about deep side part styles, that ended in low tails. 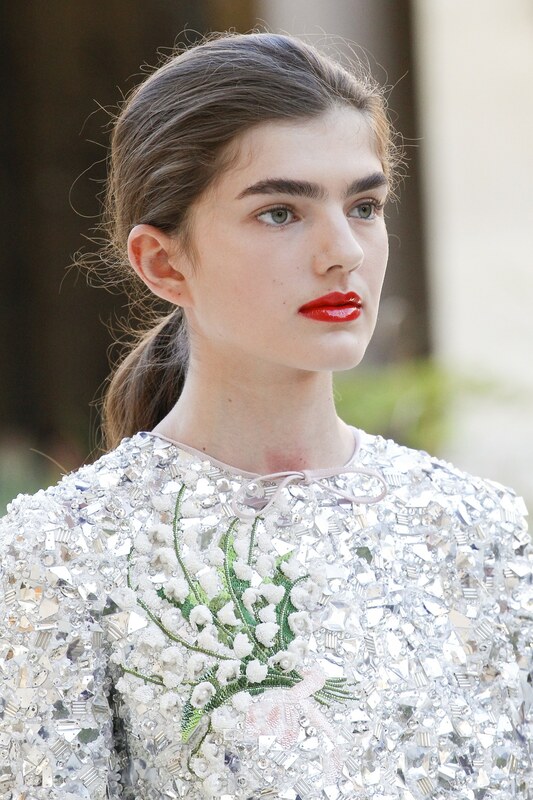 At Dior Couture show, the hairstyles were easy and relaxed, but reflected the class and style of the fashion house. Side swept, naturally wavy, even uncombed hair fixed in a casual low ponytail, with a strand of own hair wrapped around the ribbon. This much easy, this much stylish. As you can see yourself, low ponytails are the conquering ones among hairstyles trends 2018. Almost all the designers turned to this style. Some accompanied it with middle part or slightly off centered partings. Actually, one thing is quite clear with Couture Week - among the hand made fairy tale gowns and accessories, hairstyles are kept quite simple. 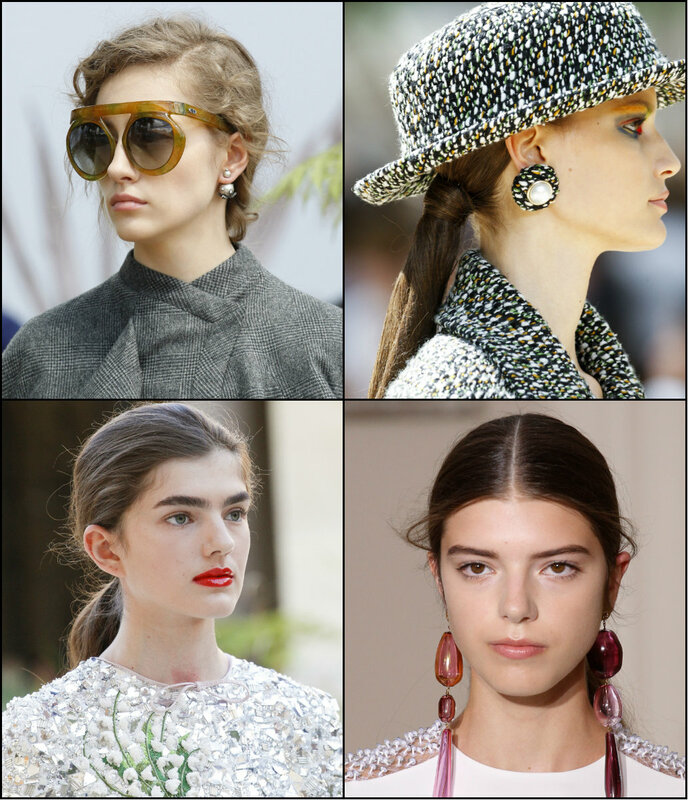 Of course hair trends 2017 inspired by last couture week had some crazy looks like Chanel curly updos, but generally it is always about soft and tender looks that underline natural beauty. As always Chanel represents the most refined looks. The cardigans, autumn hats, darker tons in make-p. All these talks about the signature style of the fashion house. As for hair, it is all about looped ponytail hairstyles. This is going to be the trend, together with Tory Burch velvet ribbon. For the fans of some extreme looks, these slicked triangles again ending in a p-tail, will become favorite ones. Finally, among all the relaxed tails, Elie Saab has introduced long lazy wavy hair. Of course, the most catching here is the hair accessory - the tiara with precious stones.